I'm so pleased the festive season is in full swing, I'm really enjoying reading everyone's Christmas posts, so I thought I would do a quick one on some of my favourite Christmas films to watch at this time of year! So starting off with one of my newest obsessions, Arthur Christmas! I first watched this last year, not expecting to love it but it's so nice, just a really cute family film. Next is one that I've loved for years, Gremlins! I think people often forget about Gremlins, but it's set at Christmas and it's a total classic. Here I've got a cheeky 3 in 1 DVD, but I love all the films on it, firstly Fred Claus, another that's quite new to me, but I love Vince Vaughn. Also one of my all time favourites National Lampoons Christmas Vacation. I've loved this since I was so little, if you haven't seen it I would definitely recommend it! Finally Jack Frost, this one tugs on the heartstrings, but it's a great film. Next an obvious one which I'm sure everyone has seen, Love Actually. You just know it's Christmas when you see Hugh Grant dancing around Downing Street! This one has to be my favourite childhood Christmas film, The Santa Claus, I watch this religiously every year, it never gets old, so so good! Another that I've loved for a while is The Nightmare Before Christmas, I love any Tim Burton film and this is no exception. Next another fairly new to me film is The Polar Express, I didn't like the vibe of this film for ages, but my boyfriend made me watch it again and it's definitely changed my mind, and I love Tom Hanks. This one is another total classic, Home Alone, I also love Home Alone 2 Lost in New York. This year I bought a Merry Christmas You Filthy Animal jumper! This next one has to be in everyones faves, Elf! This film has the best one liners my favourite is Mr Narwhal, byeee Buddyyy! Last but not least one I've loved for years is The Grinch, so so funny, he is literally life goals! Ones I forgot to photograph that got lost in my far too big DVD collection that I also love are, A Christmas Carol, the one with Jim Carrey, so good how much the animations look like the actors, and The Holiday, I always watch this one with my boyfriend, it's like the perfect film! 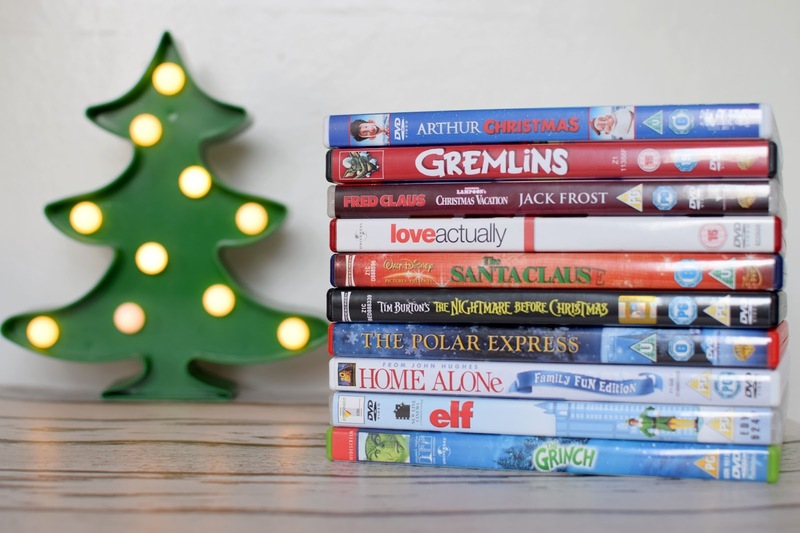 What are your favourite Christmas films?